Purpose: To provide property managers with insights on why virtual tours are important for their buildings. Why should a property manager invest in producing virtual tours? Does it really matter if a complex provides virtual tours? What are the key qualities of virtual tours that convert? In today’s modern world, everything can be found online. Now, buyers and renters begin searching for properties via the internet. In fact, according to the National Association of Realtors, 50% of today's buyers found their home online. 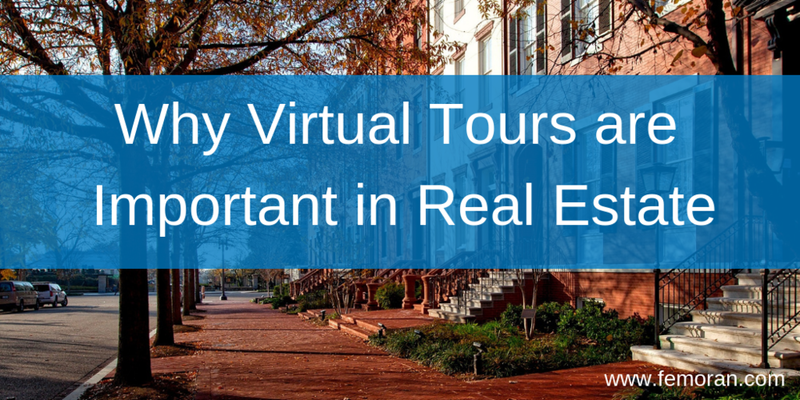 As a property manager, you’ll want to create a significant online presence for your property— one effective way to do this is through virtual tours. It’s imperative that your online tools clearly communicate the value of your spectacular building. Therefore, we’ll cover the impact that a virtual tour can have on attracting buyers and/or renters to your building, and how you can develop a virtual tour for your property. A virtual tour is a way to showcase your property online. With a virtual tour, you can create high-quality images or video footage that simulate the presence of an actual tour. Through a virtual tour, you’ll be able to showcase your property to a wide range of potential buyers as they search for different buildings online. Pro property manager tip: In addition to the main rooms of the space, be sure to highlight unique qualities like crown molding, granite countertops, or custom architecture. By viewing your building and all of its special features online, interested buyers can conveniently screen your property to determine their level of interest. And, as you make your tours more accessible to everyone by showcasing your building online, you may increase your chances of landing the perfect sale. Even though virtual tours take place online, they can still be an extremely interactive way to engage with potential customers — especially younger or tech-savvy buyers. Internet users appreciate the transparency of feeling like they’ve visited a location prior to actually walking through the doors. By adding virtual tours to your online repertoire, you can enhance your online user experience, which might translate to a higher reach both online and in-person for your company. In addition, you can gauge how many interested buyers are viewing your property by referencing your website’s analytics. This could help you estimate how successful your current marketing techniques and virtual tours are in terms of attracting customers online. In addition, virtual tours allow for increased efficiency for both you and interested buyers. As a property manager, you and your team will spend less time scheduling and guiding live tours of the property, allowing you more time to complete essential tasks around your building. And, interested buyers will also benefit from decreased travel time to your property, as they can initially view the facility via a virtual tour. Virtual tours have the added benefit of narrowing down the prospect pool. Only those potential buyers or tenants that are most interested in the property will schedule showings. This will save property management companies money in staffing costs by reducing the number of showings to pre-qualified prospects. Do you plan on showcasing your property through virtual tours? Having a virtual tour for your property will put you a step higher than competitors that may not be using technology to streamlines their customer’s experience. As property managers continue to invest in tenant amenities to improve their facilities, it’s important to showcase these impressive features through virtual tours. The ultimate selling asset of your property could be a virtual tour. So, be sure to consider a virtual tour for your facility.